So the celebrations of SL’s 10th have come and gone and once again it’s time to cast a final personal look back at the event, as is my habit. Well, actually, it’s an overdue look back, considering I had intended to get this piece out a week ago; but as the famous saying goes, In proving foresight may be vain: The best-laid schemes o’ mice an’ Peys Gang aft agley, or so Robbie Burns wrote. Honest. SL birthday events tend to be a fair mix of the good, the bad and – it has to be said, I’m afraid – the downright ugly. The builds are many and varied, the entertainment generally rich and diverse, the regions expansive and seemingly never-ending, the crowds numerous and, as a result and despite the best efforts of the Lab and the organising team, the lag ever-present and waiting to mug you at almost every turn. All of this is to be expected enjoyed and, in the case of lag, countered. In this latter regard, kudos to the organisers for not only providing people with clear and concise instructions on limiting the impact of lag on their experience, but also for provide a set of “low-lag” and retrospective freebie avatars to adopt if one wished. Ah, Ruthie and friends, how we’ve missed you! I admit, I didn’t use any of the supplied avatars although I did wander around as a Primitar for the part of one visit. There was much to be admired and enjoyed this year; so much so, that my own reports only really scratched the surface of things as I explored the regions. If your own piece didn’t appear in my updates, my apologies. It doesn’t necessarily mean I didn’t like it – rather that time was frequently against me and I didn’t actually get to see everything. Marianne McCann’s History Walk was simply stunning, offering many of us who have been involved in SL for a good while a trip down memory lane, and was another part of the celebrations I found myself returning to on a number of occasions. 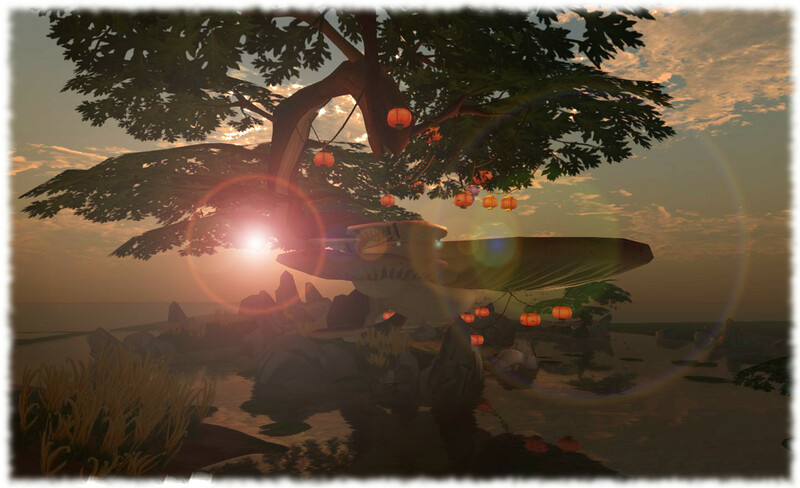 The theme for this year’s event was Looking forward, looking back, the idea being for people to look back at the last 10 years of SL’s history, or to look ahead to what the future might bring – or both. One of my personal criteria in exploring the regions was to seek out exhibits which reflected all or some of the theme and presented it in a unique or fun or immersive or personal way. 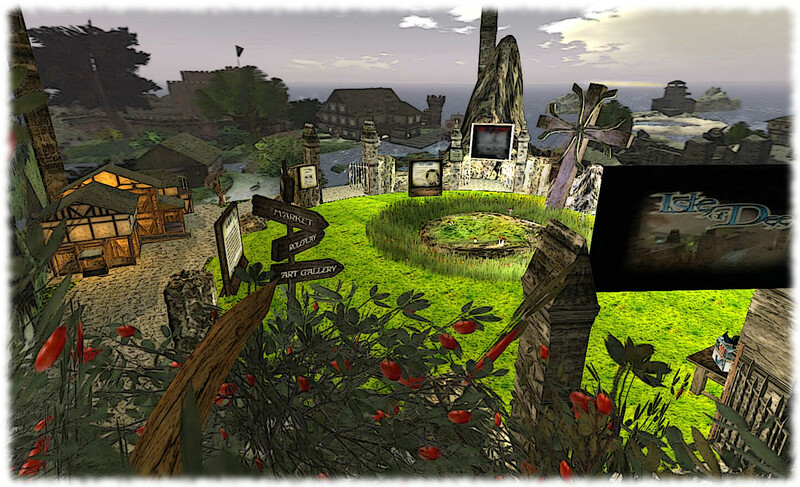 I also kept an eye out for exhibits which, while not obviously reflecting the theme, offered an eye-catching, fresh and clever insight into Second Life or the community / persons behind the exhibit. And it is here that I had my first feelings of disappointment. Walking through the SL10BCC regions I found myself coming across exhibits which I’d more-or-less seen before at SL9B and / or at SL8B and in several cases even as far back as SL7B. Some made little attempt at redressing themselves. Others had a thin veil of “retrospective” painted across them which, for me, did little to hide the fact that they were retreads. Of course, it could be argued that such exhibits were a part of the theme, as they are “recreating” something from the history of SL Birthday events. Unfortunately,they spoke to me more of a lack of imagination on the exhibitor’s part, and I found myself wishing those responsible for them had taken the time to think a little more deeply about the theme and what they might say to reflect it. 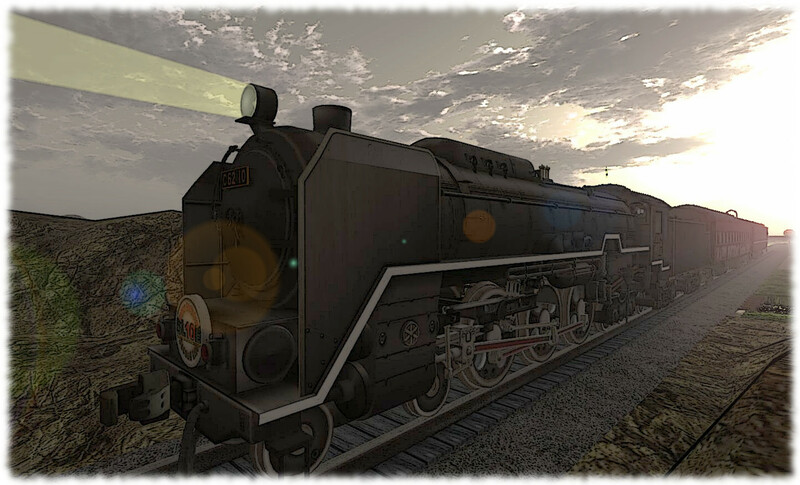 I admit my feelings in this regard ran deeper than they might have otherwise were this any other year, But this was SL’s 10th birthday and something of a landmark event – who knows if we’ll (or the platform as we know it) will be around to celebrate its fifteenth year? So coming across exhibits which appeared to be little more than the same ol’, same ol’ did give rise to disappointment. And it’s not as if the fact that this year does mark SL’s tenth anniversary popped up out of the blue, giving people little time to think about things. Another disappointment was the number of exhibits that were clearly little more than commercial advertising. It is always hard to police events like this effectively, and however hard you try, things will slip through. Even so, the number of builds which did pass inspection again this year which amounted to being little more than billboards did get my thinking as to what might have otherwise occupied the parcel had it been handed to someone else more willing to immerse themselves in celebrating SL’s achievements and / or their involvement with the platform. I’m also less than convinced that the 175 metre build height worked. I’ve often felt that something like 25 metres should be the maximum at events like this. Building tall doesn’t necessarily mean building better; all too frequently – and to use Crap Mariner’s expressive (and accurate) term – it can result in some builds resembling little more that a middle finger raised in the face of the surrounding exhibits. Of course there are exceptions to this – Gwark Allen’s Space and Time Telescope being a case-in-point, as I mentioned in one of my daily picks features. Not only did this reflect the theme of the event – looking back over past SLB celebrations, it did so quite imaginatively and in a way that justified building tall. Even so, were I to be given a choice, I’d opt for a much lower height limit than was the case this year, and perhaps a tightening of the exhibitor application criteria – such as specifying exhibitors need to provide original builds and describe something of how their build reflects the year’s celebratory theme. But then, when it comes to expectations, this year’s event faced a huge challenge. Not so much because it was to mark SL’s tenth anniversary, but because of what had come before. SL9B in 2012 had been truly unique, a huge event put together in a matter of five of six weeks after the Lab opted to abdicate its role at the eleventh hour. For many of those involved in organising SL9B and bringing everything together, it was very much a voyage into the unknown and what amounted to on-the-job training. And it was a resounding success, thus making it a very tough act to follow. Because of this, any holes appearing in SL10BCC were bound to appear larger than perhaps they really were. So in that regard I’ll put my niggles aside and state that overall, SL10BCC succeeded in what it set out to do: provide a venue in which people from across Second Life could come together and celebrate SL’s tenth anniversary. Yes, there are still lessons to learn and things which may need tweaking in the future, but that is the way of these events. Leave us not forget, this was only the second time an SLB event had been organised by residents for residents; given this, the organising team are to be congratulated for their time and effort in making it a reality, as are the many, many volunteers who worked so hard to get and keep things running – the hosts, greeters, moderators, stage managers, gofers, EAs, press team, bloggers and all. If nothing else, the measure of an event’s success is the amount of fun people had when attending. In that regard, the SL10BCC numbers tend to speak for themselves. And kudos, as well, to the Lab for embracing the event into their own promotional activities and linking-up with SL10BCC through their celebratory gift offers. Very well said. I feel the same way about the super-tall builds and, yes, some builds were little more than marketing catalogues, with practically nothing to do with the event. As for the reuse of old builds, it didn’t strike me as a lack of imagination, but as a “who cares?” attitude. Personally my biggest problem with SL10B was that it was much too short to properly appreciate the builds. For such a large event I didn’t find performance too bad, for which the organisers certainly deserve credit. Using old builds may be unoriginal, but some people won’t have seen them before and whereas it’s better if people make new builds, but again, there are time issues. I had few performance issues as well, other than when taking screen caps, when I had to crank up the draw distance. There was a lot to see, and it was hard to ensure you got to see eventhing – but extending the time creates problems of its own. Each additional day is a further day the region sponsors / donors have to cover tier out of their own pockets, for example. If someone is sponsoring / donating multiple regions, that cost can quickly mount up. Time issue in terms of creating a build? Sorry, but hardly. It’s not as if this event suddenly popped up out of the blue. It’s been on the cards for a year – whether KT amd Doc & team organised it, or LL or someone else. Ergo, people have had a good 12 month with which to consider and plan, and once the event was confirmed, a good two months in which to prep builds (no harm in spending a few minutes each day, or a handful here and there, working on a build even if your application hasn’t been confirmed). Even if some waited until the event dates had been announced, that’s still two months to plan, think and build – and many did present highly original builds within that time frame. I don’t think the tier burden should have fell on the organisers for keeping the event open for longer, being such a landmark event in a 10th birthday, Linden Lab could have presented a free tier period for the builds as a community gift. I take your point on people having plenty of time to plan a build, but that then brings us to the point as to whether enough people applied who would have created brand new builds. Crap’s clarified the tier aspect, so my mistake on that. Regarding the builds, I’ll agree with Inara: there was plenty of time for the applicants to sit down and plan the builds they’d show. As far as performance is concerned, as I wrote myself, the Cake Stage was overkill and could easily overwhelm a lesser computer’s CPU and GPU. I also found that the 175m height limit had a detrimental effect when I tried to take snapshots: there were many occasions in which one of those huge builds would get in the way and derendering was not an option, as it would result in a less-than-accurate depiction of the area. So, I had to crank up my draw distance and wait until the (usually horribly inefficient – some people never bothered to read the Good Building Practices) enormobuild would rez fully (also causing numerous other builds to make my viewer wait until they rezzed). So yes, the builds had to be smaller. That said, after everything rezzed, I didn’t have any serious performance issues. Personally, I didn’t even have to switch off Advanced Lighting Model, even though I’m running SL on a once-midrange 4-year-old laptop. The Good Building Practices wiki page should be promoted better, it’s a very good resource. Snapshots, I always have problems with snapshots, especially when I ramp up my graphics prefs, after two or three snaps I’ll usually crash, but that’s not limited to large events and is probably my own faul for trying to ramp up the graphics. Also, regarding the duration of the event, I’ll agree. The regions should have remained open for at least two weeks after June 23rd. I’m thinking of some of the anniversaries that are coming up in 2014. 100 years since the start of the First World War. I know of regions with connections to two of those. I’m sure the various more-or-less-historical roleplay groups could come up with other significant events which could prompt something for SL11B. But something such as First World War Poetry Digital Archive and it’s Second Life Exhibition is a stunning example of what can be done. It’s not too soon to start thinking about ideas for SL11B. For something such as Frideswide, built with the SL tech of a few years ago, it’s maybe time to think of what could be built with mesh and materials, and how replacing old content could provide an exhibit on the scale of an SLxB plot. But history can be difficult. I’m almost relieved, given some of the causes of the war, that I didn’t hear of anything looking back as Gettysburg. The estate owner was Patch Linden. Unless shown otherwise, I’m assuming the Lab ponied up the sims. Thanks… I’m missed that somewhere along the line. I think my biggest problem was that Linden did not make more out of this 10th with the Tech Media and Game Media. 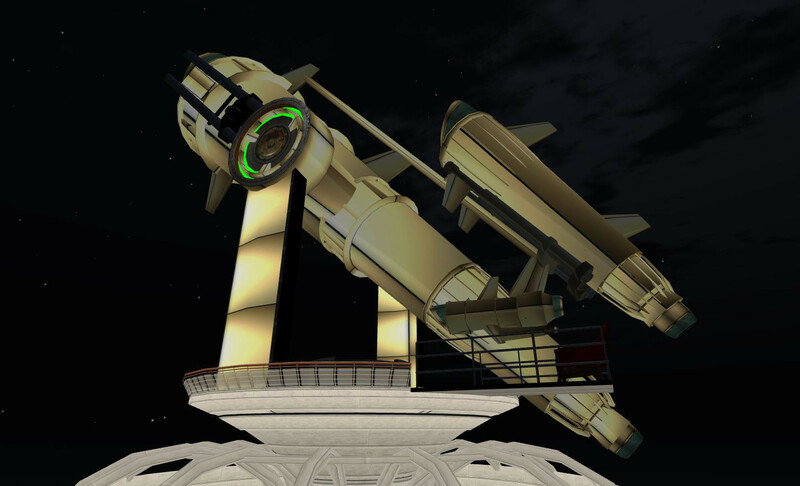 Did anyone see ANY outside pieces on Second Life pointing to the 10th Aniv? There was little coverage of SL10BCC per se in the press true, but that was always likely to be the case. However, LL did indicate they’d be taking the lead in things in putting out news on SL’s 10th anniversary as a whole – and they did. They pushed out press release and this infographic. That the media didn’t pay more attention to the anniversary is – as I think you’re saying – a poor reflection of the the tech / game media in showing disinterest. However, in case you missed them, there were some media reports during the celebratory week such as this one (on the positive side and this one (on the lazy / negative side, both of which I covered. This week we’ve had reports such as this one and this one?. So some coverage is there, even if the message is taking time to percolate through. Also, and in fairness to the media, the PR and Infographic went out something on the late side to actually catch things like publication cycles for magazines, etc., so it might be that some are yet playing catch-up (again, as with All Things D, etc.). There’s also another factor that contributes to the media’s negativity towards LL: in the past, the Lab has made many poorly-advised decisions. Given that the Lab is practically doing what the board says (and I’ve every reason to believe the board consists of pretty much the same investors it always did), I think the media are pretty justified in taking what LL says with a bucket of salt. I suggested maybe zoning by height next year, so applicants can specify whether they want to be on a region that allows them to build higher than some threshold. I’m sure this won’t satisfy everybody — at least some of the towers wanted to tower *over* their neighbours, but too bad for them: those neighbours may have had other ideas. Not so sure about restricting it to “original builds.” Personally, I’ve kinda lost interest in building, but I managed to scrape together an exhibit assembling and modding others’ components in (I hoped) unexpected ways to express the theme. If the SLB celebrations are to be purely original builds, I probably wouldn’t exhibit anymore, but that would be fine, too. I’d thought about zoning myself, but that could introduce prodblems of its own. My bad on using the term “original builds” – my intent was to imply “builds not exhibited in previous years”, as per the context of earlier statements, rather than meaning “exhibits which are entirely the builder’s own work & which do not include prefabricated parts / components sold by others”. Two problems with a lot of the points people have been raising here is that firstly the whole structure of the Community Celebrations rests on volunteers – and that’s at every level. That means that extending the length of the event or the depth of the event (in requiring those volunteers to take additional responsibilities for, say, checking not only respect for building regulations but also the originality of all 350+ builds) would be demanding a substantial additional commitment. The second problem is many of the objections depend on aesthetic or essentially, philosophical judgements. What makes a build commercial? Is it when it tries to sell something to me without any attempt to engage me with wit or interactivity or beauty? So if it is witty, interactive or beautiful, it’s allowed? Or do we say “No – no matter how witty, engaging or beautiful it is – if there’s a store at the bottom of it, it’s out of the event”? At what level do we set the bar? If you’re not going to make the additional effort, then don’t put it in the build rules. Although generating a lot of empty bluster and backing it up with zero muscle or effort *is* kind of a hallmark of Linden Lab behavior in the past 10 years, no? “If you’re not going to make the additional effort, then don’t put it in the build rules.” Well, yeah, but ultimately one wouldn’t want build rules that, realistically enforced, end up discouraging a lot of good exhibits. Practically speaking, SLB is not LEA, its charm is the broad range of modest contributions, so over so many exhibits there’s just never going to be resources to perfectly enforce any rules, let alone vague and subjective ones. So maybe those aren’t “rules” but rather “guidelines”, and maybe social persuasion can achieve adequate compliance with such guidelines — for example, a certain beloved spreadsheet of per-exhibit reactions. Or organizers could reward a history of compliance — perhaps by granting acceptance ahead of schedule, or some other explicit reinforcement. 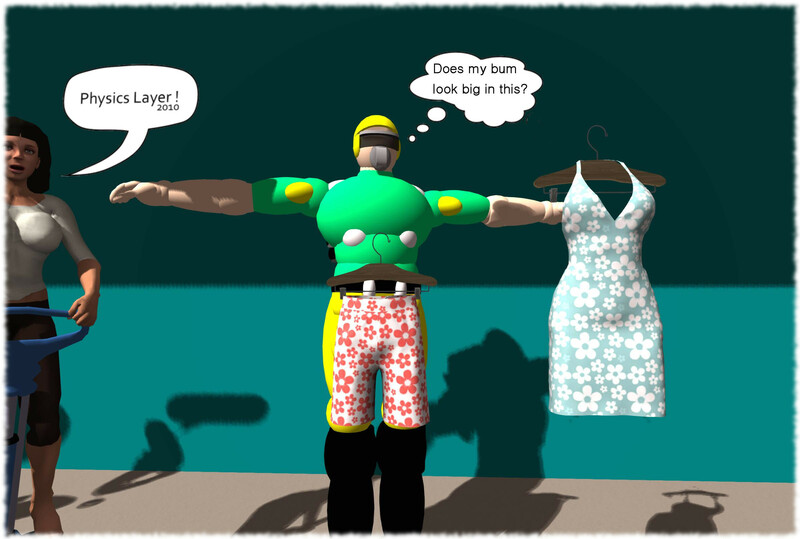 Whatever I think of Linden Lab’s behaviour … it’s irrelevant here. The Community Celebrations were run by volunteers. Those volunteers tried to enforce the building regulations that were laid down (size, phantom, textures) to the best of their time-crunched abilities. Asking them to take on what are essentially aesthetic and value judgements on top of that is one hell of an ask. For example … the arguments about Bryn Oh’s exhibit.